We are delighted to welcome you to our latest newsletter, and to revisit with you the excitement of our spring concerts. 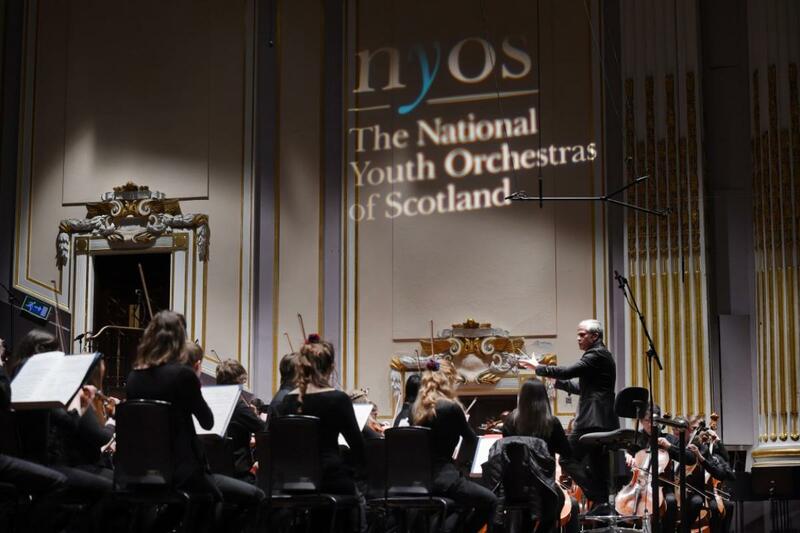 We report on the three orchestral courses that happened over the month of April, and the fantastic concerts put on by our Junior, Senior and flagship Symphony orchestras that will live long in the memory. We closed out the month with our first appearance at the UNESCO International Jazz Day festivities put on by Glasgow Life, with an astounding quartet of players representing the past, present and future of NYOS Jazz.